Yes, The mass inundation of all things pumpkin spice into America is annoying. But come on, level with me. There’s something about those blend of spices that really ushers in autumn and that cozy feeling that comes along with it. 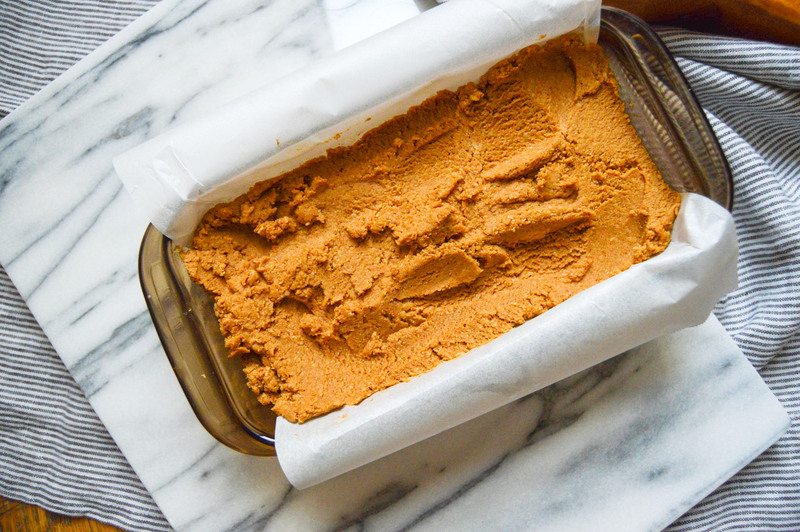 Moreover, There are incredible health benefits hiding in traditional pumpkin spicing and of course pumpkin it’s self. Cinnamon lowers blood sugar and boosts your metabolism, while clove, ginger and nutmeg have anti-microbial properties and aid in digestion. 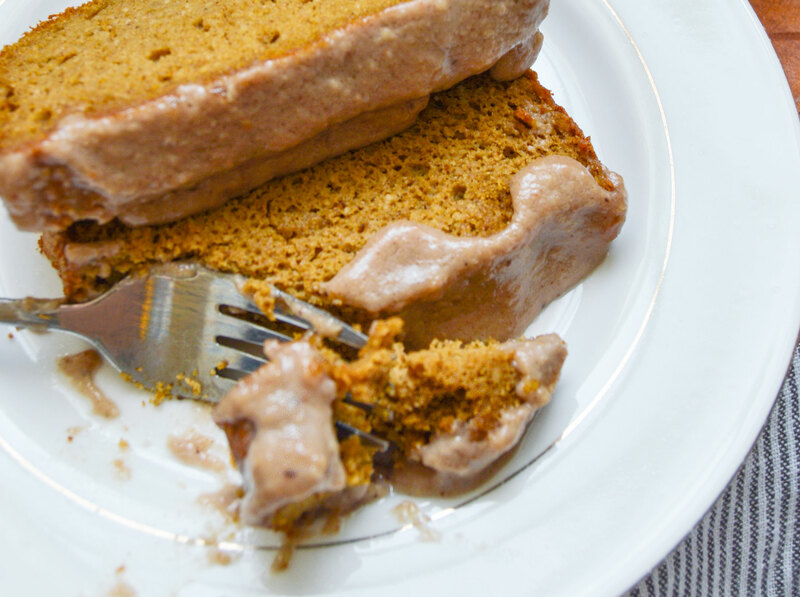 Pumpkin is a great source of fiber and vitamin A…a fantastic prebiotic! 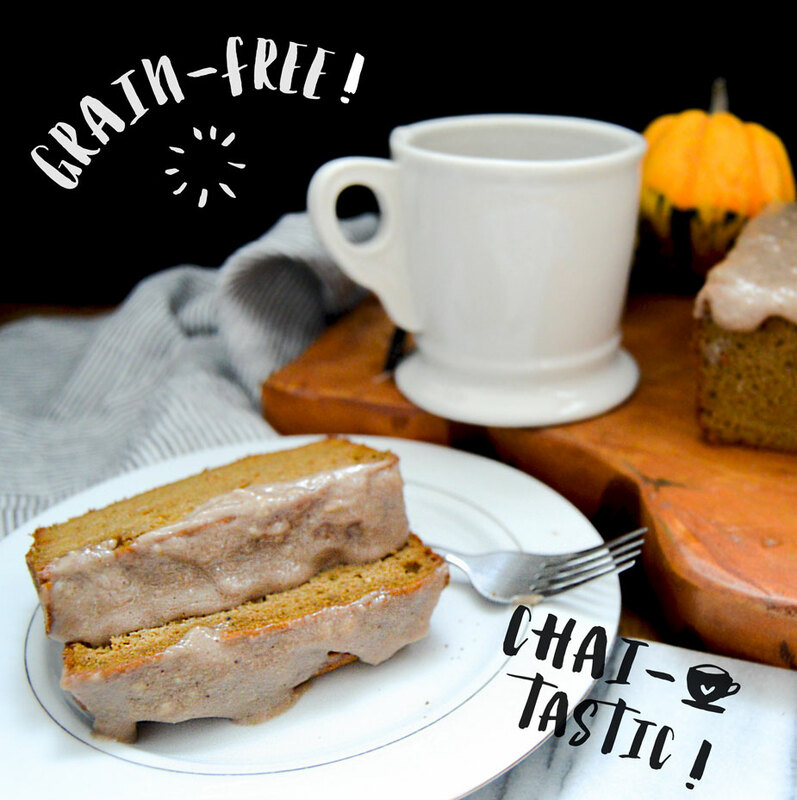 I decided to leave the spicing of the bread pretty bare and add a Chai spiced icing, as it’s my very favorite black tea. I’m pretty pleased with the way this loaf came out, not too dense as some almond flour baked goods can be, and not too dry either, thanks to upping the egg count and halving the coconut flour I would normally use. Moving on! Let’s get started, shall we? Preheat oven to 350 degrees F and get yourself all situated. 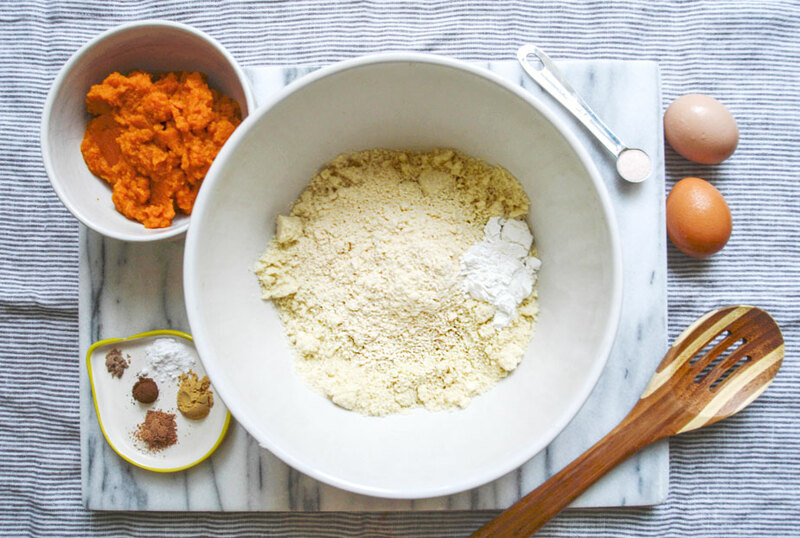 Mix dry ingredients, slowly incorporating wet ingredients by hand or with a mixer. 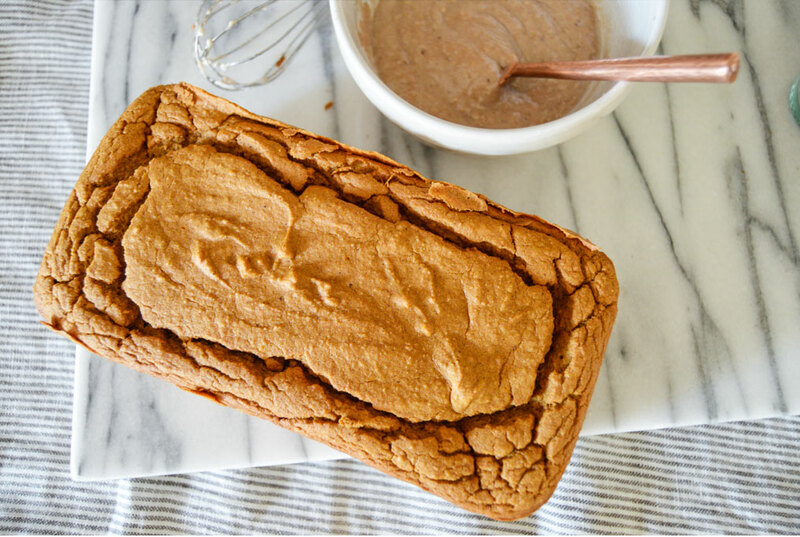 Transfer to a 9×5 inch loaf baking pan, lined with parchment paper and greased with a bit of coconut oil. Pop in the oven and bake for 45-60 minutes until the center tests clean with a toothpick. While the bread is baking, waft in that glorious spiced aroma and work on your icing! 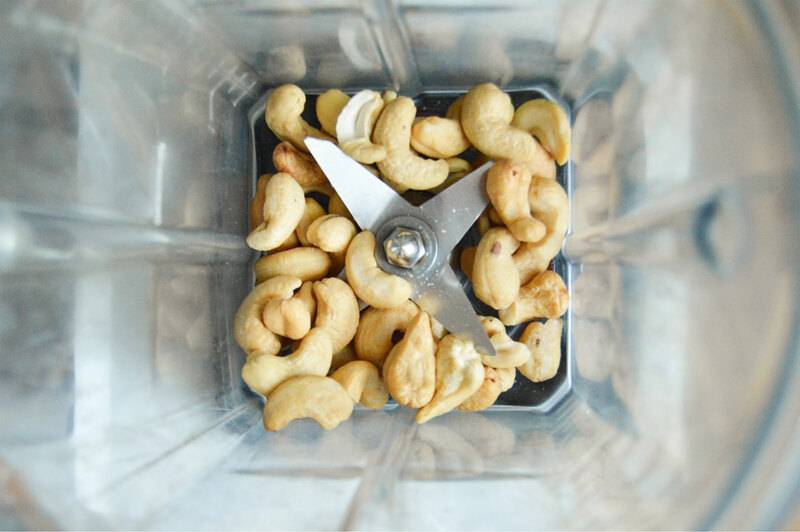 blend the cashews in a food processor or hi-speed blender until finely ground. 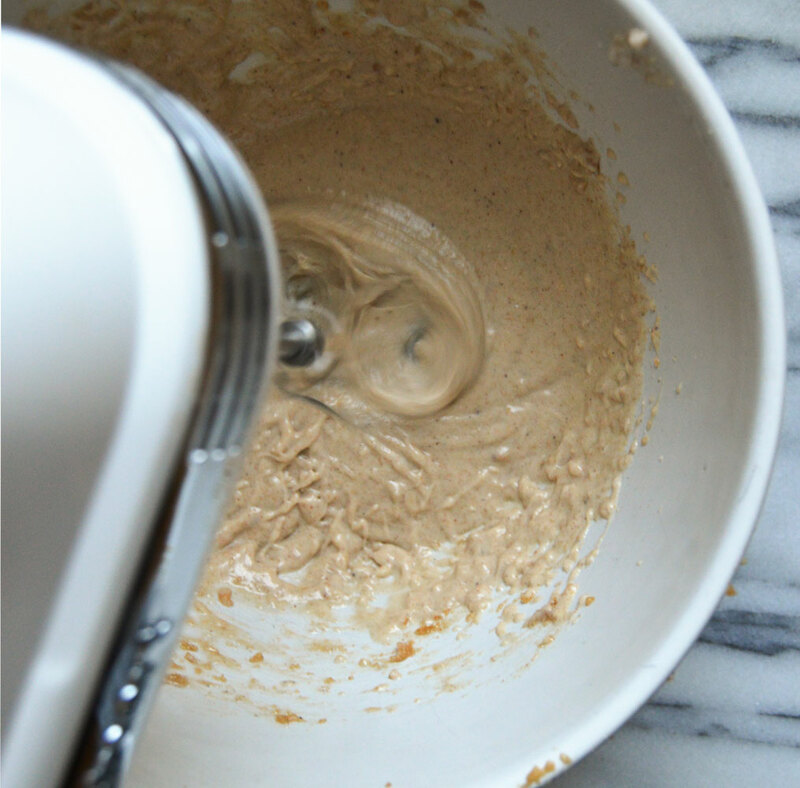 Incorporate the remaining icing ingredients and whisk with a mixer for 2 minutes. Let chill in the fridge. Once your bread has baked and cooled for a few hours, go ahead and ice it, enjoy a slice and store it in the refrigerator to keep the icing’s texture at its best!